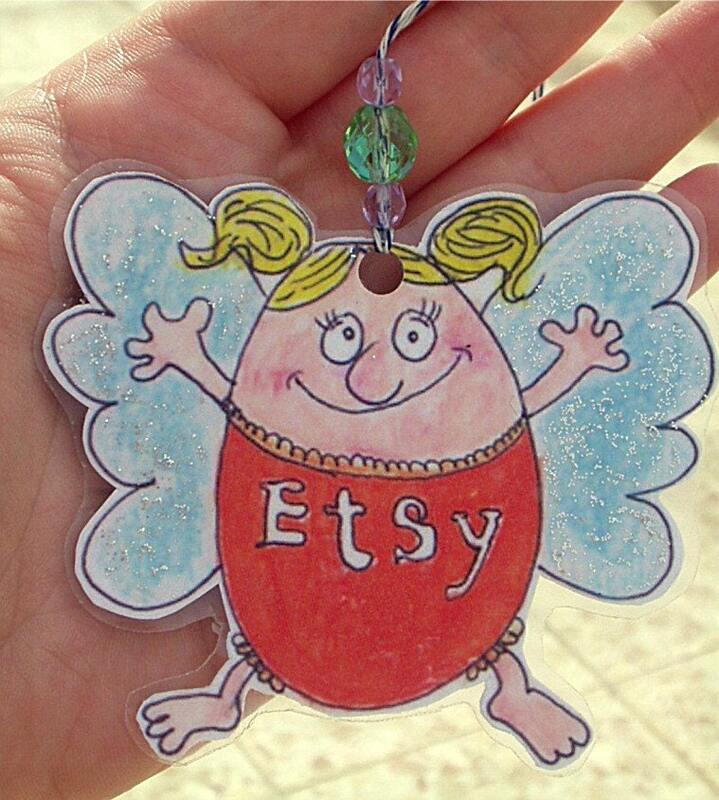 I bought my sales fairy from raisinlike.etsy.com in January, and for a while sales came thick and fast! Meerkats were being knitted and posted like there was no tomorrow! Sales have died down a bit lately, so I thought maybe she wasn't happy with her position hanging in my hallway. 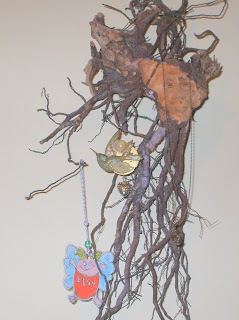 This is my "pride of place" display point, my steampunk necklace lives there when I'm not wearing it, hanging from a fabulous carved recycled root which was a present from my son. Can you see the face that's carved on the wood? In the family it's known as the "elk"...and that's another long story! Here she is, sitting on the cache with the predictable meerkat. For those in the know, there are a couple of geocoins and travelbugs in the pic. It was a fabulous hiding place, a hinged hollowed out log in woodland! I had pondered "by royal appointment..." for the corgis! A Sales Fairy seems like a good idea. oh I htink you said greyhounds to me once before bbb...could do! trouble is, I've got stock up to my ears! Right you are dear Heather, the fairy needs to recharge every once in a while (much like crystals do). Letting her hang in the moon light, or on a nice tree bedding like you did is an excellent idea. 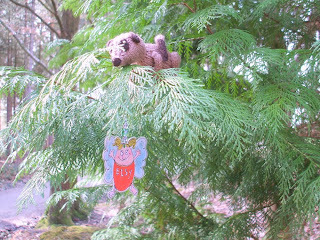 And it is a well known fact that fairies love meerkats. As the old saying goes (translating from Hebrew) "A meerkat and a fairy go together like peanut butter and raspberry-pomegranate jam". a sales fairy :D brilliant! Sharona I love your ancient Hebrew saying! How interesting! How long does it take you to make a meerkat? They still amaze me! The sales fairy is sdorable! I want one! I like your "pride of place" display, that carved root is just beautiful. teresa they don't take as long as they used to! but they do take a god few hours. the body and head is one piece, although the head is divided into three for a while (it's painless) but then the fiddly bit starts...little eyes, ears, arms, legs, tail. Except for the baby, the legs and tail need wiring, too. If I was paid an hourly rate they'd be by royal appointment only! If this doesn't do it for you I don't know what will... Sales Fairy and Meerkat in the same photos, sounds like a formula for success! I'm so glad that your meerkat gets to go geocaching so often....and now he has a companion. I think we just need to get those meerkats back to the front page! 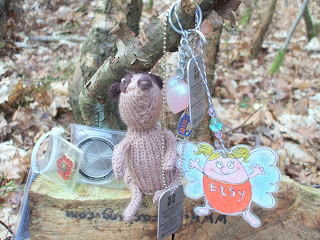 I might just go and ask Raisinlike to make me a Folksy Sales Fairy...! I've been registered as a buyer on Etsy for a while, it's time I went and actually made a purchase. I've had a peek at her shop and it's lovely! Really hope the meerkats start selling again very soon, they are so special!